Preparing to live in a new home is always exciting. You have probably been looking forward to finally relocating so you can start settling in your new environment. There is a lot of cleaning, unpacking and decorating your apartment about to happen. You’ll most likely enjoy every step of the way, with everything being bright, shiny and new to you. Nevertheless, do not forget about the final task in your old residence. Your old home will require cleaning before moving out. It is necessary to do it, regardless of whether you rented or owned the place. The very thought of it must make you weary, but using some simple tips and tricks you can finish this tedious task in no time. Just keep in mind that sooner you’re done with it, the sooner you’ll start decorating your new home. First thing’s first – you are going to need plenty of cleaning supplies in order to properly scrub your old home. Remember that you’ll need to clean each and every room. This takes a lot of different kinds of disinfectants, cleaning cloths, brooms, mops. The list goes on. Each room will likely need different types of cleansers and cleaning tools. Chances are you have many of these, but you should make a list just in case. Kitchen and bathroom might take extra care and scrubbing tiles can be a tiresome job. Go inside every room and inspect all the elements that require cleaning. This might help you complete your list of supplies. And don’t worry about wasting your money. 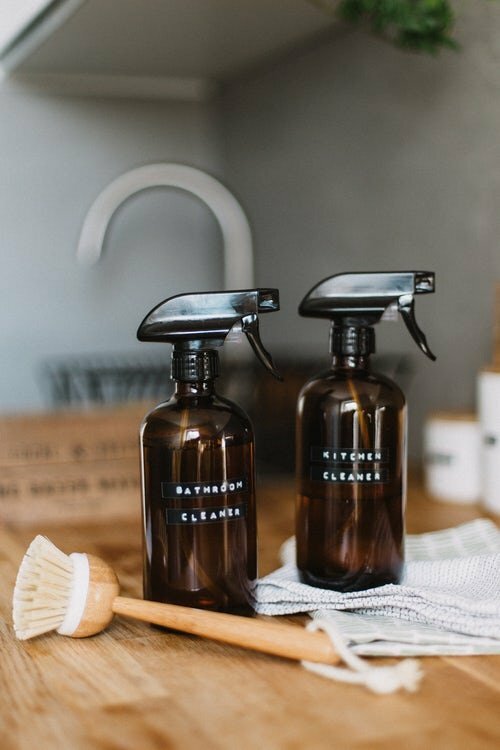 You will be able to use these cleaning supplies when the time comes for preparing and cleaning your new home. So prepare a list of necessities and start shopping. After you’ve stocked up on cleaning supplies, don’t forget to go around once again and check your entire house for all kinds of scratches, dents, cracks, and holes. 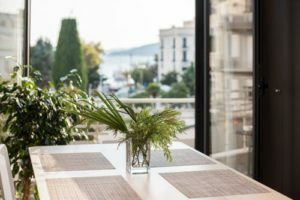 If you were renting, your landlord might be pulling money out from your security deposit to fix these kinds of damages. You can make sure this doesn’t happen by checking for them and fixing them yourself while your cleaning phase is still in progress. You do not need to hire professionals to do some simple fixes, so try and save some money by doing them yourself. Pay special attention to any damages made after moving out large pieces of furniture and be extra careful while moving those. Also, take special care if planning to move a piano to your new house. Moving heavy objects could make some unexpected dents and scratches. Well, does it seem like you have finalized the cleaning before moving out? Actually, think again. The outside of your house is just as important and requires taking care of. If you used the garage, you should empty it and sweep the floor. Also, mawn the lawn and declutter the garden if necessary. You may need to wash or scrub the porch stairs. 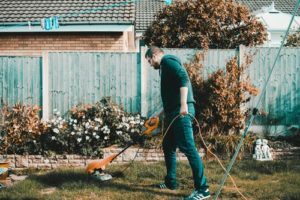 Check if your patio needs cleaning. Sometimes it doesn’t seem like it would make much difference, but it actually makes the house look a lot better. If you don’t have a yard, do not forget to tidy up and clean your balcony. Of course, this will take less time if you are moving during winter. Just make sure everything around the house is decluttered and decent looking. Finally, there is an obvious option available for you if you are not into the whole cleaning business. Perhaps you have some money left on the side for occasions such as this one. Or you simply do not have the time to deep-clean your entire house while moving into a new one. Not to worry. There are plenty of professional cleaning companies to help you through this. They will save you plenty of time if you need to move or pack your home in a day. This makes cleaning before moving out one less thing for you to worry about, and the place will be in safe hands. Professional cleaners will leave the house neat and spotless. Hopefully, you found these small pieces of advice useful. 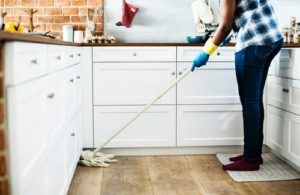 The important thing is to be organized and not to let tedious tasks such as cleaning before moving out ruin the excitement of relocating for you. There are so many things to look forward to, even though you have such a large cleaning project waiting for you do complete it. And if you, at any point of this venture, realize that it is overwhelming and that you are not handling it, make everything easier for yourself. Hire professional cleaning services. You will not regret it. What matters is the bottom line result, which is a clean and neat old home left behind you.